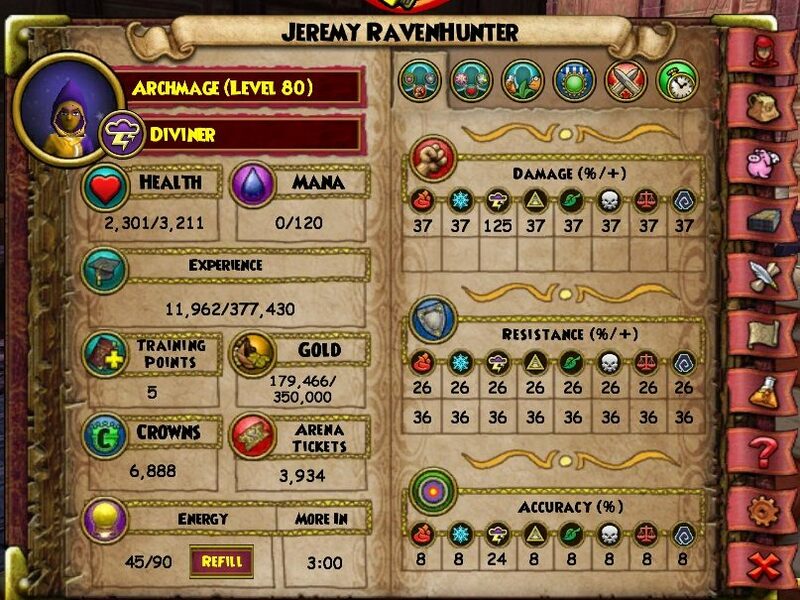 Archmage is known for levels where no one does PvP except Jade Jujus/Angels. At level 60 there is Waterworks gear and the next major gear update is Darkmoor at 100; this makes level 80 a pretty weird level to decide to PvP at. But there is a niche for everything – including offensive archmage PvP. 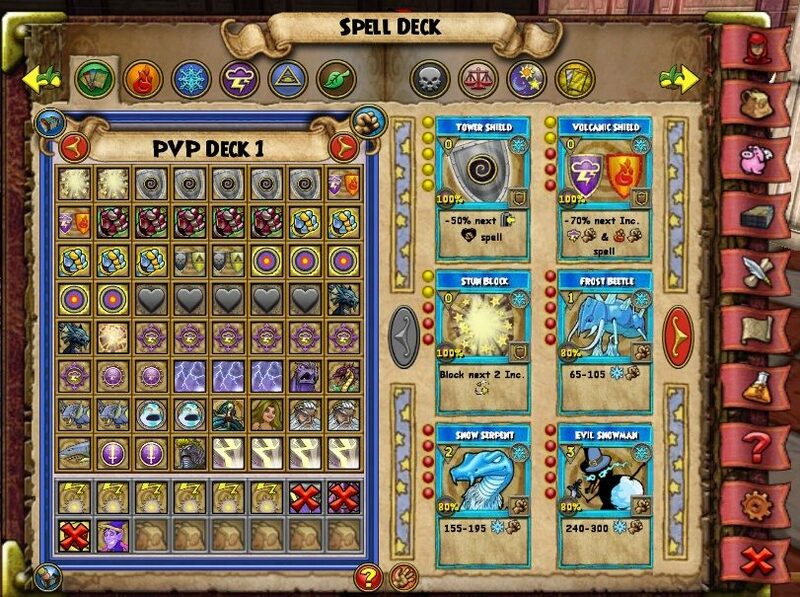 Well, if I’m completely honest, I chose to PvP here not because of the niche, but because I needed the Plant All Seeds spell from Avalon. 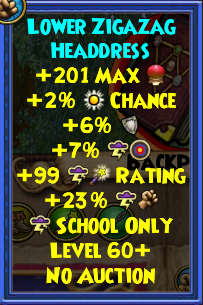 And since I’m too lazy to level up any further, I decided to try turning my Archmage Storm into a deadly glass cannoner. 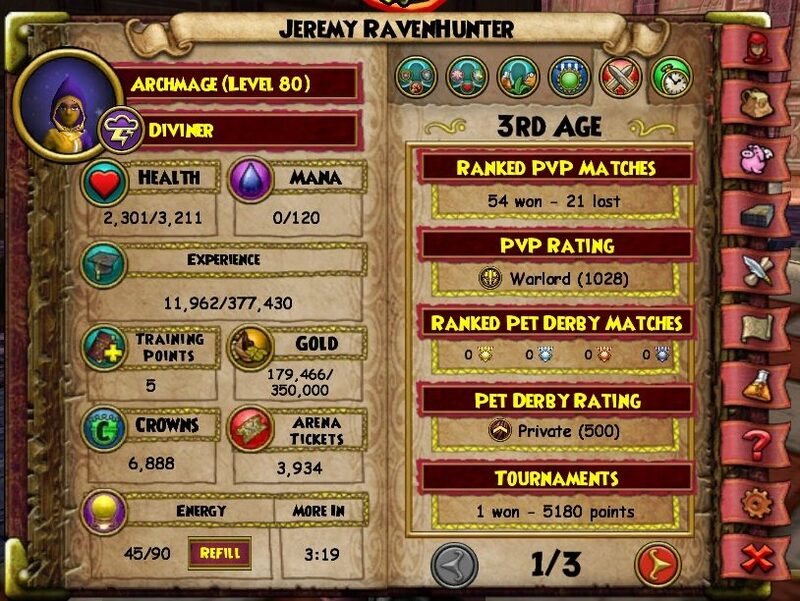 My stats are still not perfect and I’m not 100% happy with them, since I know there is still room for improvement. It is possible to get 1% more damage, 5% or 6% more pierce, more critical and more block. 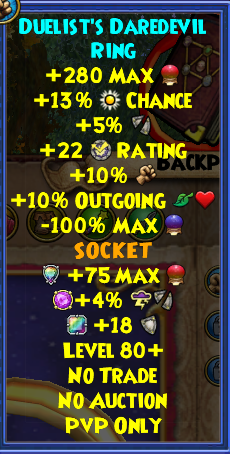 I don’t have any mount, 2 pierce jewels are 3% instead of 4% and my wand is far from perfect. If you can, I highly suggest you get the wand from the Immortal pack; it gives 2% less damage, but gives 3% or 4% more pierce along with more critical and block chance. Worse case scenario you can just swing with Sky Iron Hasta for its juicy damage boost. My block is at 6% and critical rate at 37%. When having Sky Iron Hasta equiped, you will miss certain crits but there won’t be any difference in the block rating; I don’t block anything anyway. 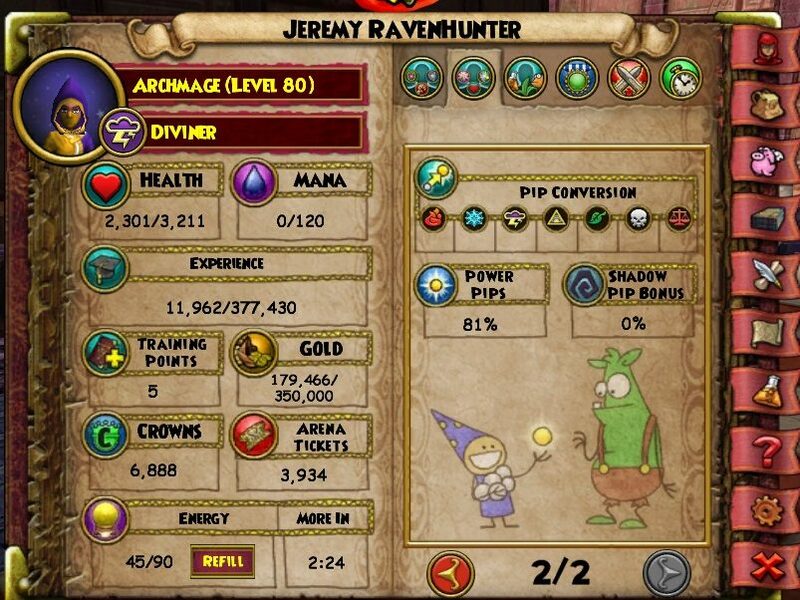 Another, slightly better alternative is the Duelist wand and I would definitely suggest you grind some extra tournaments to get it and use it instead of our beloved level 30 wand. Another piece of gear you can improve is your deck. You can farm the Stone key boss Bellosh in House of Scales and try to get his deck with 1% accuracy and a triangle socket. I know the difference isn’t big, since you gain only 1% accuracy, a few more spaces in your side deck and extra copies for off-school cards, but in the end the deck is still better. First thing about deck: shields! Just because we’re glass cannoners, doesn’t automatically mean we don’t need any defense. It’s true that we can take down opponents really fast, but this works in both directions. Stun blocks are also really important in your deck; vs. Myth and Storm (and maybe even Ice) they are a must have. Enfeeble is another awesome defensive card. Sometimes our opponents will survive initial attacks and will get the opportunity to blade stack – carry one enfeeble for in cases like this. Max bubbles are also a must have. You don’t really need to engage and start the bubble war, but you still need the max amount to effectively take down sanctuaries and to get one in hand to unleash deadly combos. Blades are another buff, but these are mostly for their intimadation factor. When you want to prevent your opponent from putting stun blocks on, just put a blade up. In most cases they’ll react with a set or tower shield. Last thing are minions and dispels. The minions are just in case… For fighting the jades or fights when opponents survive your initial combo AND stay low on pips. You also need a few dispels, because you’ll face many 2k+ grands and all of those have storm dispels in deck. 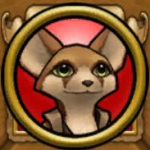 I would highly suggest you get a Storm Elf pet. There are tc’s aviliable, but they’re still not very common. It’s good to have an item card, just in case you’ll run out of tc’s. In battles against jades, you’ll probably need to use it several times. Well, there isn’t much to write about strategy, since most of my matches end in less than 5 rounds. Basic strategy is to Storm Lord as soon as possible. 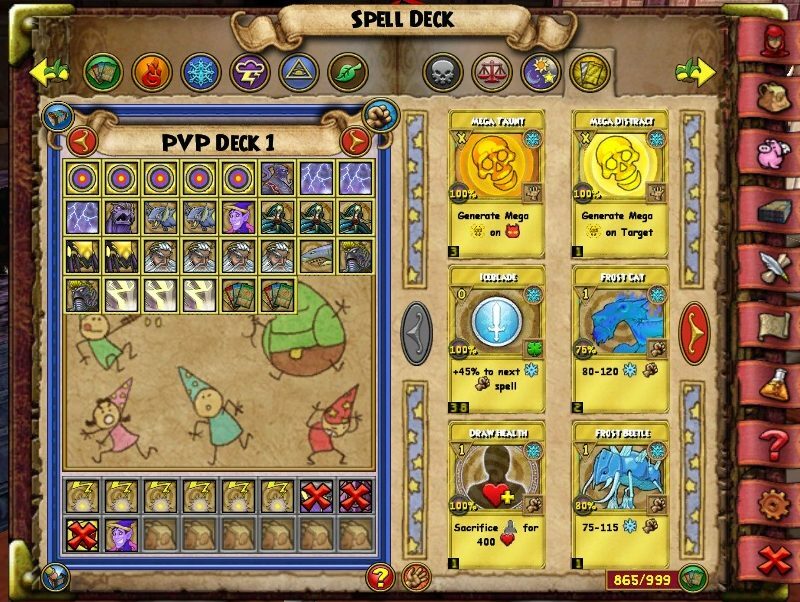 Storm Lord + Queen Calypso under Infallible is a really strong combo and has won me so many matches. Believe it or not, but Storm Lord does something around 1000 damage through set shields – which is a lot when you’re often fighting grands who have at most 2.5k health. An open Queen Calypso hit also does something between 1.5k and 2k damage. You can do the math yourself. Contrary to popular belief, you don’t need to get rid of every single shield. With Infallible up, you’re basically piercing right through Tower Shields. Just make sure not to overdo it. One combo I personally love from second is Infallible -> Storm Elf -> Bubble -> Storm Lord. Having your bubble up is pretty scary for your opponents, as well as the over time tick and the incoming Storm Lord. 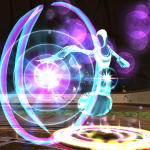 By performing this combo we force opponent to choose 1 out of 3 options he should do at this very moment: shield, stun block and change the bubble. Just keep in mind that whatever you do, you don’t let the sanctuary stay up! I tried with 4 bubbles at the begining and quickly realized I need to max them out. Although you don’t need to bubble as often as other schools, bubbles are still a vital addition to your deck. Insane bolts are fun, but way too risky to incorporate them in your strategy. Only use them when you know you can’t win the match with other spells. Wild bolts on other hand are not as risky but they’re still not my favorite. They are an interesting spell and hitting max can easily reduce somewhere from half to three quarters of your enemy’s health, but the rng factor is simply too big. They are nice for clearing shields or trying your rng luck every now and then, but personally I don’t use them in every match. The hardest opponents are by far legendary/transcendent balances and transcendent/archmage lifes. Juju spammers can be added to the list as well, but my rank is still too low to face them. Balances are dangerous because they only need 3-4 lores to kill us. It’s the mantle that can cause us many problems due to our low accuracy. The risk of getting our aura popped is also constantly present. In addition, the 20% weakness is actually a really good debuff with our high pierce. My strategy vs. balances is basically Tower (if first) -> Infallible -> Storm Lord -> Insane Bolt. It’s really risky, but I believe that it is overall still more effective than using regular spells. I know that this contradicts with what I said earlier, but there are always exceptions. Next in line are jade angels. They are a tough nut to crack with all their health and resist. We can be lucky to kill them with a Storm Lord + Triton combo, but our lack of pips after killing them once can be a problem with Guardian Angel. There is also a high chance of them using regenerate as soon as we use Infallible. Same as with balance wizards, Insane Bolt is your friend here. Choosing a school and level where you’ll PvP has big impact on your success. 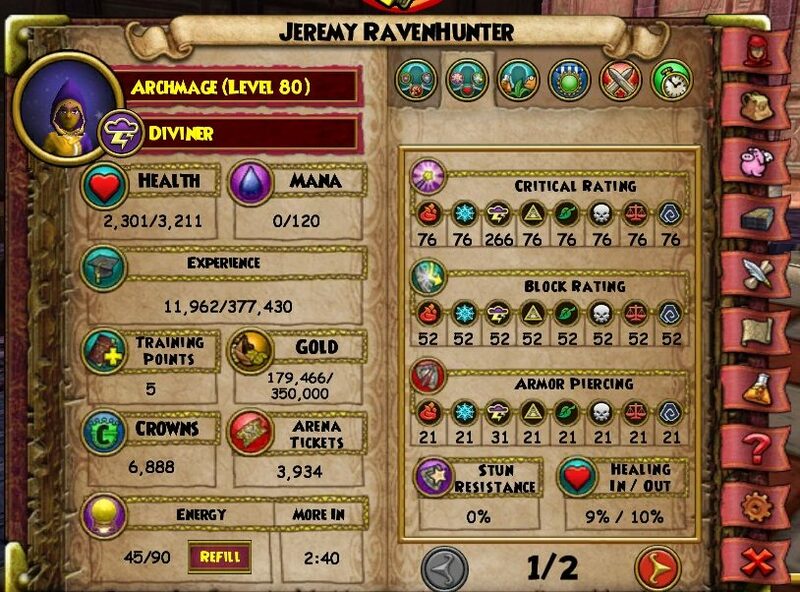 There are probably better levels than 80 for the Storm school and at Archmage levels there are definitely better schools to PvP with. 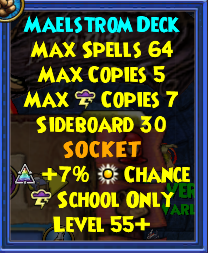 In fact, we could argue that Storm is the worst school for PvP at level 80, since other low tiered schools (Death, Life) received some fantastic spells in Avalon. But that’s what makes everything better. Reaching overlord with the underdog definitely feels much better than effortlessly breezing your way to the top. So, will you take the challenge and try to PvP as an Archmage Storm?